One minute you’re 100-percent focused on finishing that work memo, the next you can’t type another letter until you eat something crunchy and salty. 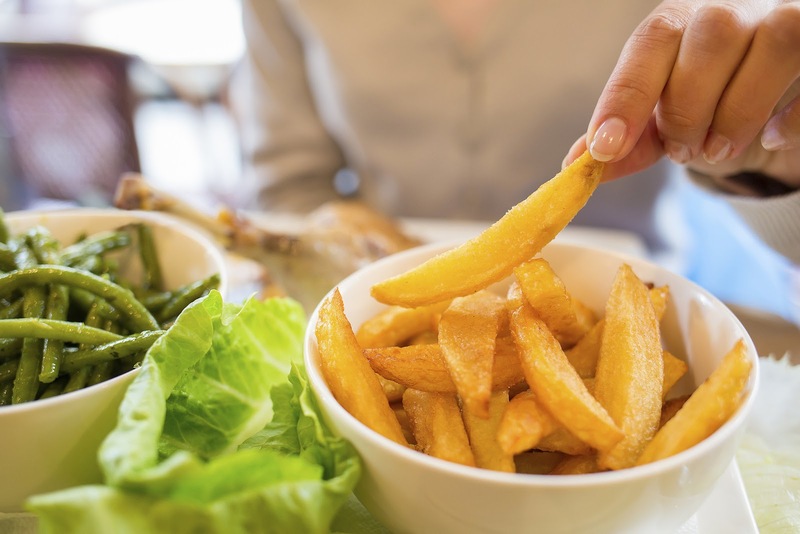 Cravings are hard to predict and even harder to understand, but recent studies have shed light on how everything from genetics to emotions to the environment can play a role in determining what foods we like and feel compelled to devour. "There is no question that people's likes and dislikes, and the kinds of food they purchase and eat at any given moment are impacted by a lot of variables," says Herbert Stone, Ph.D., a spokesperson for the Institute of Food Technologists. "A lot of those factors are still unknown, but we're finding out more and more about what goes on in the body and the brain when we make these decisions." Including these new insights on five things that affect your cravings. Individual food preferences have a lot to do with a person's upbringing: Chances are if you're exposed to something as a young child, you'll be less averse to it as an adult. But sometimes you just don't have it in you to like a certain food. One recent study presented at the European Society of Human Genetics conference found that people's preferences for foods like coffee, artichokes, bacon, dark chocolate, blue cheese, and, yes, broccoli, are actually linked to variants in different specific genes. How much salt or sugar a person eats may also be affected by genetics, according to other research presented at the conference. Plenty of studies have shown that the color and appearance of foods can affect our taste perception. But environmental sights and sounds can also influence your cravings. For example, experiments in grocery store settings by Diayan Biswas, Ph.D., assistant professor of marketing at the University of South Florida, have found that people tend to be attracted to unhealthy foods when the lights are dimmer and that certain types of music make people want to buy sweeter products. "I believe the effects that we observed should hold across various locations, including grocery stores, restaurants, retail stores, and our own homes," he says. Seeking out certain foods or textures can sometimes be the sign of an imbalance within your body. When our blood sugar levels drop because we haven't eaten in a while, for example, we crave sugary foods to raise them back up. And although it's rare, ice cube cravings have been associated with iron deficiency anemia. Endurance athletes who exercise for hours a day and lose a lot of fluids through sweat are likely to crave salty foods, which they need to replenish lost sodium, experts say. For most of us, though, salt "cravings" are likely the result of habit and acquired taste. "We've trained our brains to expect and demand a certain level of saltiness, so we tend to salt our food to excess, often to the point where it's not good for us,” Stone explains. As your body’s estrogen falls in weeks three and four of your cycle, levels of serotonin also fall, while cortisol, a stress hormone, increases. This could leave you feeling cranky and in need of a Big Mac or sundae—stat. While any kind of carbs will kick your serotonin back up, stick with complex ones like whole grains and legumes for a mood-booster that also keeps you full.